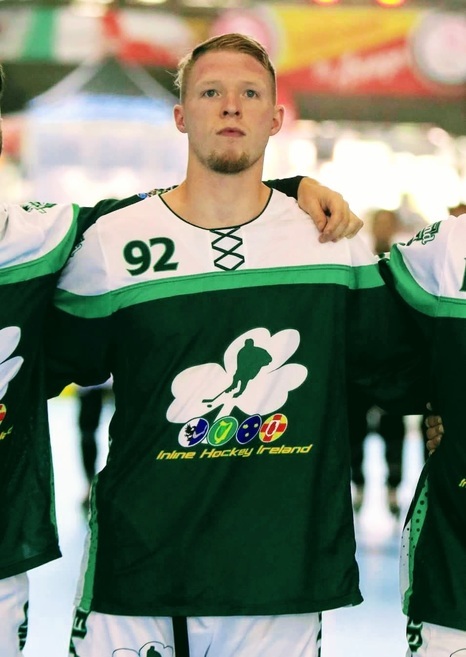 Belvoir's very own fitness instructor Josh Pavis was recently involved with the Ireland Inline Hockey Team who competed in the WS Inline Hockey World Championships in Asiago and Roana, Italy. As this was the first tournament for the men they were under no illusion the competition would be tough and a steep learning curve for the inexpereienced side. Unfortunately, the first two teams they faced, Japan and Chinese Taipei, showed them just how much they have to learn with 2 defeats. However the team made a superb effort to beat Mexico 3-0 in their third match with Josh scoring a crucial goal to help secure Ireland's first win. After the group games were finished it was time to play for Inline world rankings. Ireland started this with an automatic win against Solvenia who where unable to attend the tournament, next they faced team GB, again falling short with a 4-0 defeat. This left the Ireland men to face Mexico for the second time in the tournament to earn their final seed ranking in the world. Team Ireland entered the competition ranked 24th in the world and have left ranked 20th showing progress has been made but the tournament has highlighted areas to work on over the next 12 months before their next major competition in Barcelona, Spain in July 2019. I'm sure we will hear more in the future from Josh and Team Ireland but for now congratulations and good luck to all at Inline Hockey Ireland.